Performed “New habits” in the health centres of Maputo and its province in Mozambique to raise public awareness of non-communicable diseases (NCDs). Diabetes and hypertension are increasingly common chronic diseases, also in Mozambique. Therefore, Doctors with Africa Cuamm, together with the Mozambican Theatre Company Mahamba and the Mozambican Diabetes Association (AMODIA), drew up and staged a play titled “New habits” with the aim of raising community’s awareness on healthy lifestyle to avoid the development of such diseases. The play was performed in Portuguese and in the local language in the health centres of Maputo and the respective province and it gained the attention of one of the most widely read magazine in the country, “Moçambique” that devoted an article to the theme of NCDs in the culture section. The theatre activity is part of a wider project aiming at combating chronic non-communicable diseases “NCDs Capacity Project: Support to the fight against Non-Communicable diseases in Mozambique”, implemented with the local Ministry of Health (MISAU) and financed by the Italian Agency for Development Cooperation. Theatre becomes a key instrument for emotional engagement and social transformation, as well as an effective tool to spread raising-awareness messages on the importance of prevention, screening, treatment and follow up of chronic diseases. All this leads to promote a change of behaviour and attitudes, both at individual and community level. 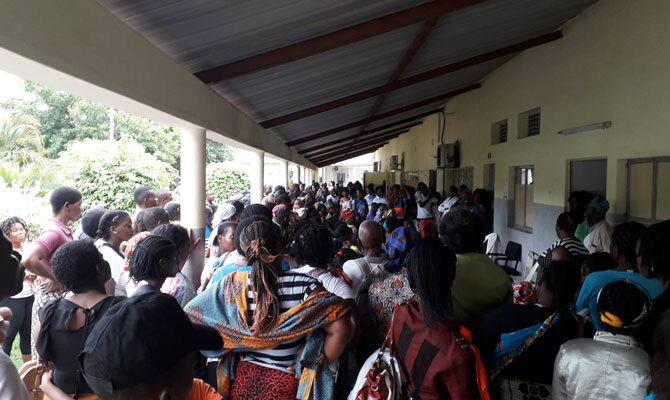 Furthermore, the theatrical performances represent essential moments of interaction with patients waiting at the health centres, especially mothers and their babies, and with the health staff, encouraging a greater use of the health services provided. 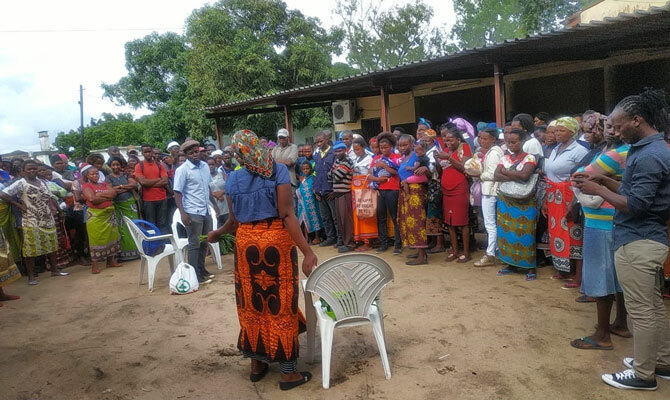 The play “New habits” will be performed soon in other provinces of Mozambique where Doctors with Africa Cuamm has been working, such as Sofala, Zambezia and Nampula, further strengthening the proximity to the beneficiaries and the relationship with them.